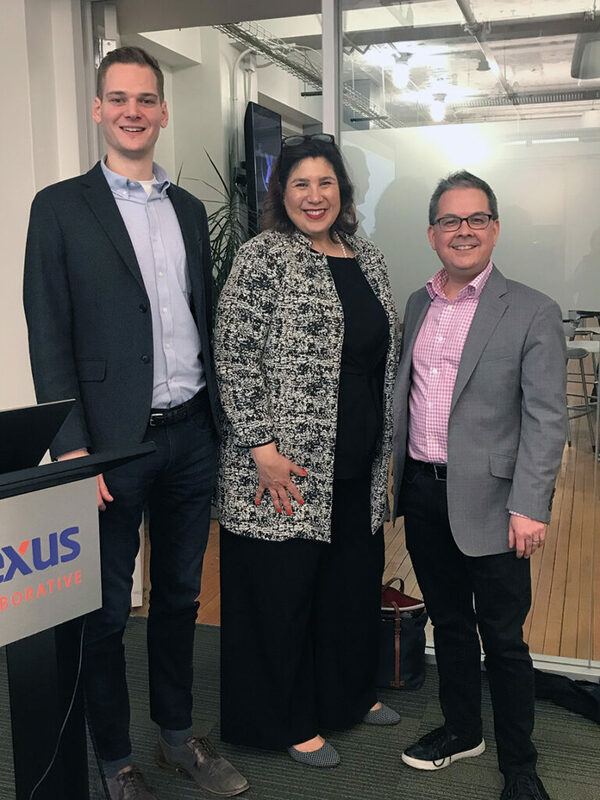 On Thursday, March 21st FinTex / Startup Leader Round Table (SLRT) and event sponsor Gate 39 Media hosted the event Attract, Engage, Convert: Executing a Marketing Strategy for FinTech Firms at the ITA TechNexus Venture Collaborative space in Chicago. This event brought together financial industry professionals to discuss best use cases in content marketing and the automation mechanisms that support the efficient attraction, engagement and conversion of leads. With attendees ranging from financial industry firms, investment admins, and startup executives, guests filtered in for presentations and pre-networking amidst a March Madness taco and beer bar. Master of Ceremonies, Michael Cavanaugh of FinTech Ranger and the FinTex / SLRT, welcomed the room with an introduction of the three key presenters: Michelle Moore, Chief Marketing Officer of tastytrade; Blake Kelley, Marketing Automation Manager at TopstepTrader; and Shane Stiles, President of Gate 39 Media. Michelle Moore, CMO of tastytrade, kicked off her presentation with insight into disruptor tastytrade’s energetic model for content production — 8 hours of daily videos, streaming through multiple channels and tailored for all levels of traders. The firm’s aim is to provide actionable, investable content and guide leads through all levels of the trading process, to make finance fun, simple, entertaining, and engaging with the goal of building a community. Revealing the launch of luckbox Magazine, tastytrade’s publication of evergreen articles compilated by the research team at tastytrade, Michelle addressed the other disruptive means the firm is exploring to build a community, including addressable TV, outdoor billboards, and Captivate elevator videos. She also explained that the firm’s multi-pronged engagement strategy includes an aggressive rockstar-like tour schedule for 2019 that includes 29 live shows across the U.S. with founder Tom Sosnoff attending each one. The next presenter was Blake Kelley, Marketing Automation Manager at Topstep Trader. Blake introduced TopstepTrader’s mission to nurture passionate futures traders from around the world with a structured subscription-model path from proof-of-strategy to getting a fully-funded account. With experience marketing to both the retail and institutional markets, Blake pointed to three elements essential to successful audience engagement. With HubSpot’s Inbound Marketing flywheel methodology being central to TopstepTrader’s marketing strategies, Blake went on to give key examples of the importance of workflows in effectively structuring and testing automation tactics for audience engagement within the HubSpot framework. The third and final presenter was Shane Stiles, President of Gate 39 Media, who zeroed in on the fine art and science of customer conversion within financial marketing. Gate 39 Media, a financial marketing and technology agency, is a Gold level HubSpot Agency Partner who assists financial firms with specialized integrated marketing for lead generation as well as CRM setup and optimization. Shane points out that automation doesn’t necessarily mean fully-automated; Good automation supplements and guides sales activities performed by humans, keeping it personal and relevant. Part of HubSpot’s value is that adds predictability to sales and allow sales teams to pinpoint and concentrate on qualified leads, closing more deals, faster. Shane went on to provide several key points around conversion optimization, including customizing sales processes with connections to outside data and systems. The event then concluded for personal Q&A sessions and additional networking. Presenters explored three process components of inbound marketing on a deeper lever to help define and provide best-use examples. Bringing together the ideas presented by these three marketing professionals, the evidence is clear that success in financial marketing points to a triangulation of creating valuable content to attract, developing strategic personalized methods of measurable engagement, and configuring selective well-thought-out automation designed to convert. 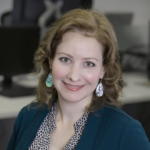 FINTEX + HUBSPOT START-UP DISCOUNT PROGRAM: Through a special program with FinTex, start-up FinTex members receive a 90% discount on year one of a HubSpot subscription. For more information, contact Mike Cavanaugh at FinTech Ranger or Shane Stiles at Gate 39 Media.